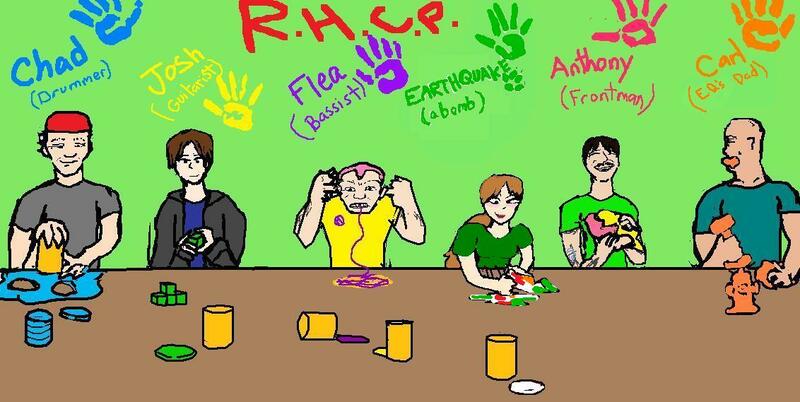 RHCP and I playing with Play-doh with my Dad. . HD Wallpaper and background images in the Red Hot Chili Peppers club tagged: red hot chili peppers rhcp i'm with you earthquake anthony kiedis flea josh klinghoffer chad smith.